Yep, these are cast steel, not iron. 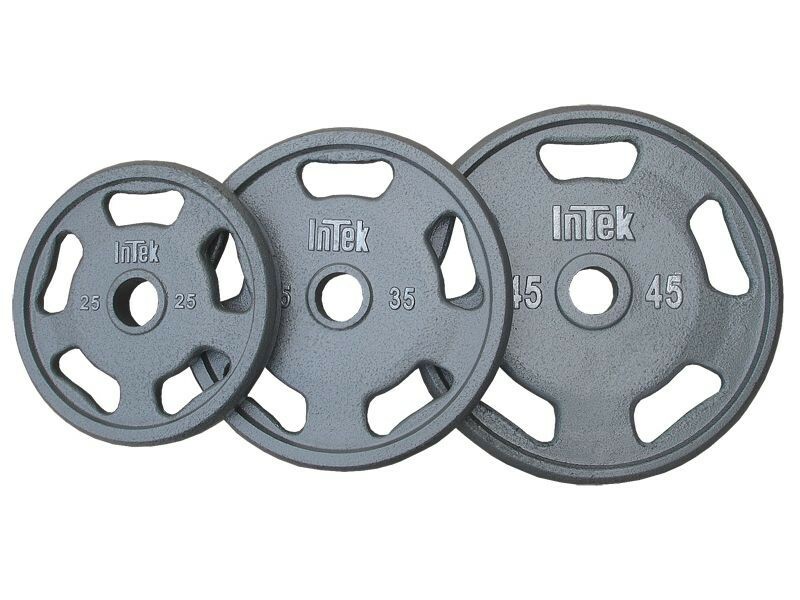 If you've broken or chipped a 45lb iron plate by accidentally dropping it on concrete or onto the foot frame of a power rack, you know what this is all about. Steel is much harder to break. The rounded grips match the shape of your hand for easy handling with one hand. Weights 10lb and up have the grips. For better visibility of the weight and a professional look.